The show started with the host of the night – Manish Paul cgiving a short speech saluting the women of today and about the qualities that makes them beautiful. To celebrate fifty year of Miss India contest, a video was showed with some of the former Miss India sharing their experiences as Miss India and the things that they learnt from the contest that helped them established as strong independent women. Then Godrej Appliances and Pond’s Femina Miss India felicitated social activist Urmi Basu with a special ‘Woman of Substance’ award for her constant work towards the upliftment of women in the red light areas in Kolkata. The real competition started with an ‘Introduction Round’ where all the 23 contestants were walked the ramp in cocktail dress. While the contestants walked the ramp they introduced themselves through a pre-recorded voice. Then the trio of Grand Masti – Vivek Oberoi, Aftab and Ritesh Deshmukh came on stage joining the host and the contestants on stage. If appearing on stage and taking away the limelight from the beautiful contestants, they also danced to their own film song. That was absolutely unnecessary and again proved to many fans that Miss India was more of Bollywood event. There are other events which are much better platform to promote their films. Next, the contestants get to show their dancing skills on the song ‘Radha teri chunri.’ Soon the swimsuit round followed. The beautiful ladies walked the ramp in two piece neon swimwear. 23 beautiful women but the limelight given to them was so short. Felt like watching Miss World introduction where they had to give footage to more than 100 representatives from different countries in a matter of second. 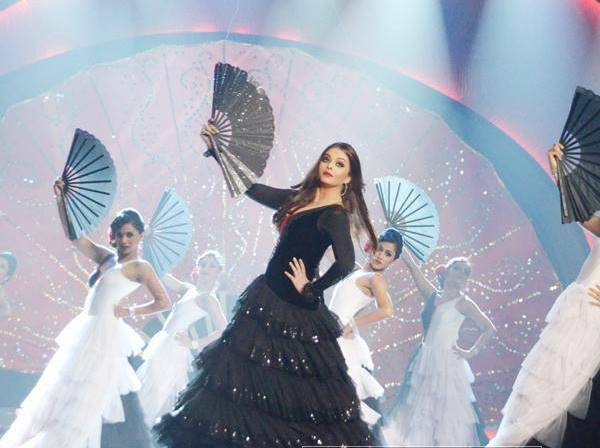 Soon after, the gorgeous Aishwarya Rai Bachchan took the stage to perform a dance sequence. This was her first appearance after three long years. She performed on the number ‘Udi’ from Guzaarish. She danced so elegantly in the red and black flowy attire and her tap dance moves, choreographed to perfection by Shiamak Davar. This is the kind of performance that we want to see on Miss India stage. Sonu Niigam’s performance was next. He charmed everyone through his melodious voice and mesmerizing performance. As a tribute to Miss India beauties, he rendered his voice to songs like ‘Chehra hai ya chand khila hai’, ‘Mere rang mein rangne waali’, ‘O haseena zulfon wali’ and ‘Yeh jawaani hai deewani’. He was flanked by the aspiring Miss India dressed in beautiful gowns by designer Gavin Miguel in different hues of gold. Soon it was time to announce the Top 10 lucky girls out of the 23 contestants. Out of these 10, one was chosen through an online poll. Shobhita Dhulipala was crowned as the ‘Itimes digital diva’ by Karan Johar. The top 10 were Anukriti Gusain, Apurva Lonkar, Gail Nicole Da Silva, Navneet Kaur Dhillon, Sagarika Chettri, Sobhita Dhulipata, Srishti Rana, Swati Kain, Vijaya Sharma and Zoya Afroz. If you had the chance to exchange your beauty for anything else in the world, what would you exchange it for and why? If I have to exchange my beauty I would go for intelligence because I believe beauty without brain stand nowhere. There are parents today who raise their children without letting them watch TV or look at the internet. What do you feel about it? I feel parent who raise their children without letting them watch TV, they shouldn’t ban them completely because TV also shows some important knowledge that children can gain. That’s what I feel about it. Well today which is more significant to you – today’s sunrise or you’re looking forward to tomorrow’s sunset? For me, both are equally important as with every sunrise there is a new opportunity that come our way and it depends on us how much we make the best of that opportunity and with every sunset, we get to know all the things, the things that we regret, the things that we learn at the end of the day that we should not have done. If there would be no rules in your life for one day and you could be outrageous, what would you do? Besides being beautiful, what else people would you like to think about you and why? I would like to be known a beautiful human being for my good deeds and or the person I am, for a positive outlook that I have towards life and one who is very beautiful from within. What do you think of the government’s restriction on dress code in schools and colleges? I do not think the government has a right to impose restriction on uniform because, a deficiency in moral policing cannot be compensated by imposing insensible rules that only take away freedom. A strong sense of understanding and respect for conduct should be inculcated. Only that will bring a change that is real and lasting. What are the three things you would never do to hurt the person you genuinely love? The three things I would never do to a person I genuinely love would be; I would never cheat to the person anyway, I would never lie to that person and I would never run away in difficult situation when he needs me the most. You have a chance to make one call after which all the phone line dies. Apart from your parents who would you call? If I have to make that one last call I would genuinely love to call the late Jyoti Singh Pandey – The Delhi gangrapre victim and just ask her about her health and how she is doing in heaven. And one more thing I would ask her is would she like to be born again as a girl. If you could be water or fire, which could it be? I would choose water because it can be soothing, it can be protective and it can kill also and it is very important for all of us and nobody can live without it. If you were crowned Miss India tonight, what message would you give to your fellow contestants and to the world? If I were privileged to be crown Miss India tonight, the message I would like to give to my fellow contestants would be that we are all winners tonight. Having reached this far, the message I would give to the world or rather would like to say tp the world that I feel so grateful to be crowned Miss India tonight and to use my beauty for a noble cause. While the judges were busy over deciding who should be in the top 5, former Miss World and Bollywood actor Priyanka Chopra charmed the audience and viewers with her ‘desi girl’ number. To showcase the true essence of Pond’s Femina Miss India 2013, which had beauties from all across the country competing for the title, Priyanka performed on dance forms like the kathak, bharatnatyam, Assamese bihu, Maharashtrian lavani, Gujarati garba, Manipuri raas leela Marwari ghoomar, Punjabi gidda etc. 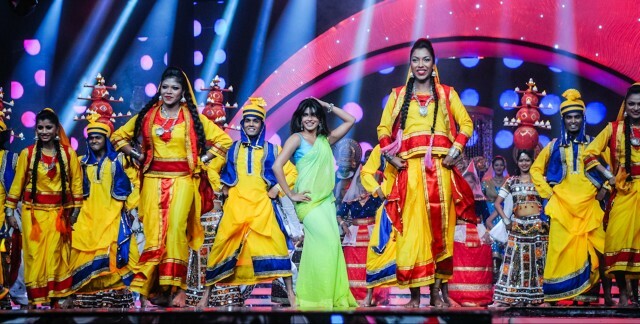 She was joined by the contestants showing the true diversity of India. The top 5 result didn’t come as a surprise. Overall it was a good top 5. But I would have loved to see Sagarika Chettri in this round. She was so confident and positive besides having an amazing stage presence. The five finalists to face the last question and answer round before being crowned as Miss India were Zoya Afroz, Srishti Rana, Shobhita Dhulipala, Anukrti Gusain and Navneet Kaur. Among the top 5 answers, I loved the way Anukriti answered her question. It was short and humorous but very honest and straight from the heart answer. But this is Miss India contest. The one with a philosophy and world peace type answer always have an edge over someone who is very honest in her answer. 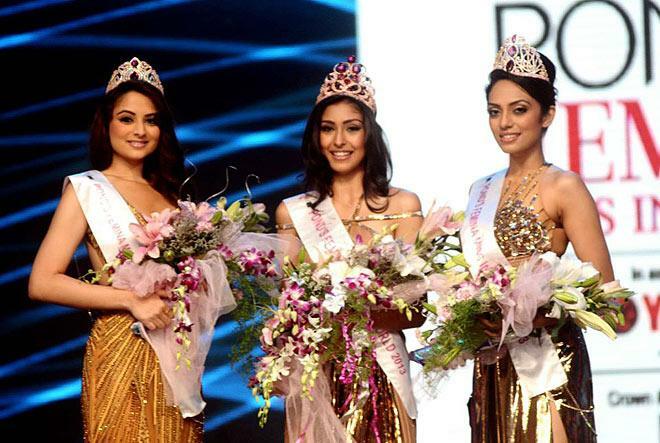 The result was announced and Navneet Kaur Dhillon from Chandigarh was crowned as Miss India. Sobhita Dhulipala and Zoya Afroz were her runners up in the contest.